Jute is always an essential part of one's home decor , you will always find at many places - in home , besides your bed , under sofa , near dining table , found almost everywhere . 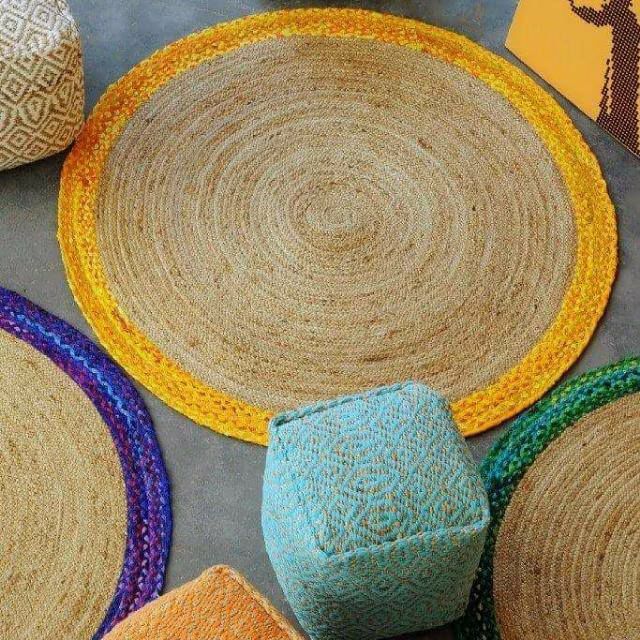 Jute rugs and jute products like jute bags , Jute mats , jute hats are always in demand as it is made of pure natural material , making it the most popular item and its popularity will never fade away. Jute rugs and its products are made in different patterns , shapes , motifs . sizes and colors of your choice and it can also be customised as per customer's need , taste and style . Our Jute rugs and products are very much in demand across all the countries .